Price-performance champion. 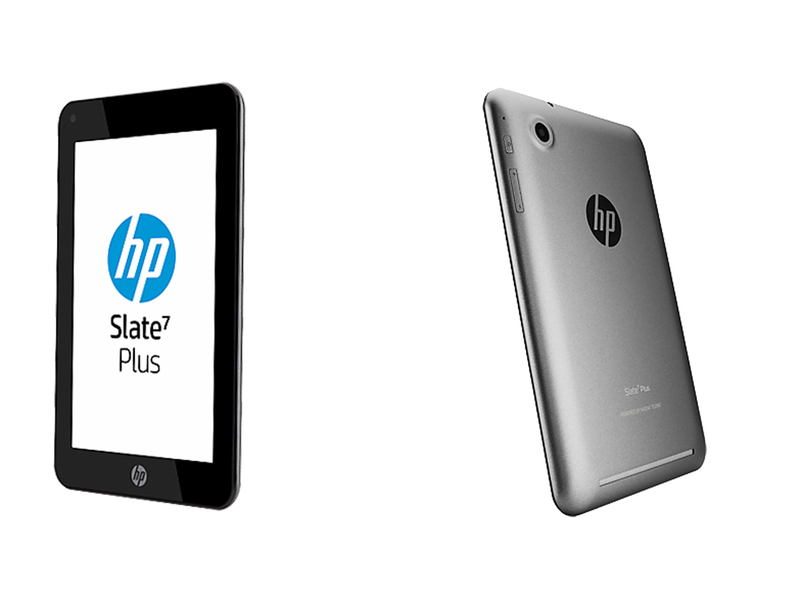 HP renews its smallest tablet with the Slate 7 Plus. Inside we find an Nvidia Tegra 3 SoC and a 7-inch display with a resolution of 1280x800 pixels. The equipment is standard but in return, prices for the Slate 7 Plus start at 149 Euros (~$205). Will it reach the winner's podium? With the Slate 7 Plus the established manufacturer Hewlett Packard, short HP, introduces the updated successor of the HP Slate 7 after a relatively short amount of time. 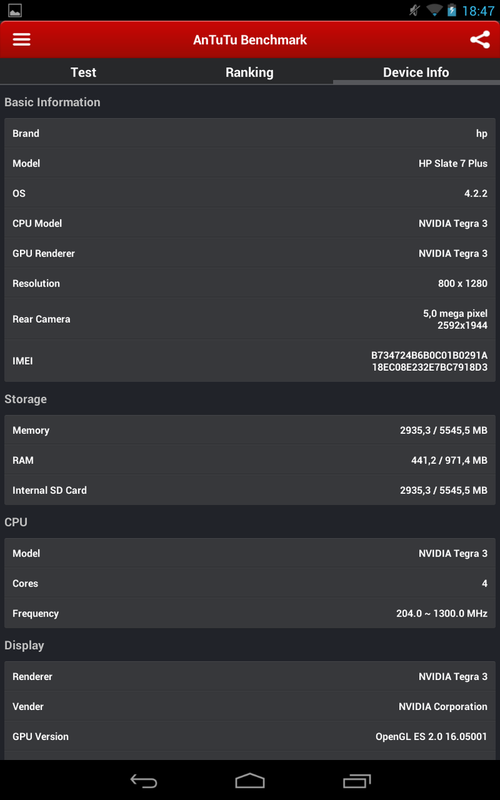 At an RRP of 149 Euros (~$205) the HP Slate 7 Plus comes well equipped with its 7-inch IPS display with a resolution of 1280x800 pixels, a Tegra 3 SoC including an integrated GeForce ULP graphics card, 1 GB SDDR3 RAM and 8 GB flash memory (net: 5.42 GB). It is driven by Android 4.2.2 Jelly Bean and powered by a 15 Wh battery. In the highly competitive entry-level segment with a price range of up to 200 Euros (~$276) it encounters fierce competition. Several competitors, among them are, for example, the new Google Nexus 7, the Samsung Galaxy Tab 3 7.0 SM-T210, the Asus Memo Pad HD 7 as well as the Palit Galapad 7, which is also equipped with a Tegra 3 SoC, try to arouse the buyer's interest. Is the test device HP Slate 7 Plus able to come out on top against these competitors? How well does it stack up when it comes to performance and hardware? All of these questions are answered in our test review. 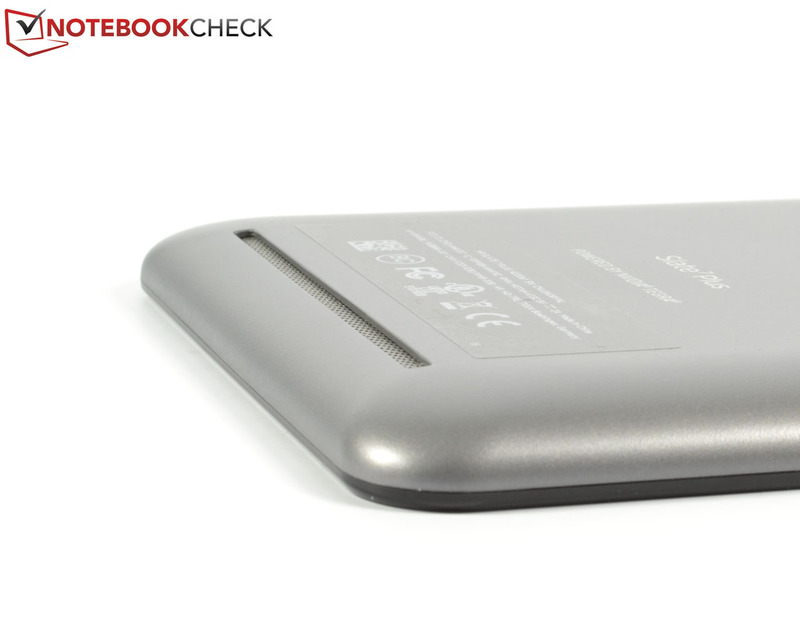 The case of the HP Slate 7 Plus is made completely of silver-gray polycarbonate. The back side flaunts a big, black, high-gloss HP logo. The surface feel is acceptable but could be somewhat handier. The workmanship turns out mediocre. Admittedly, the test sample shines with consistent clearances; however, the plastic back side gives in noticeably and with a creaking sound under just a little pressure. Overall, the case can be twisted easily. With measurements of 194.7 x 122.7 millimeters (~7.7 x 4.8 inches) and a total weight of a considerable 342 grams (~12.1 ounces), the tablet is still handy but nevertheless quite heavy. Additionally the HP Slate 7 Plus is 10.7 mm thick (~0.42 inches). Much of the competition builds significantly thinner and more compact products that weigh less. The Google Nexus 7, for example, weighs only 290 g (~10.2 ounces) at a thickness of 8.65 mm (~0.34 inches) and the Samsung Galaxy Tab 3 7.0 SM-T210 300 g (~10.6 ounces) at 9.9 mm (~0.39). 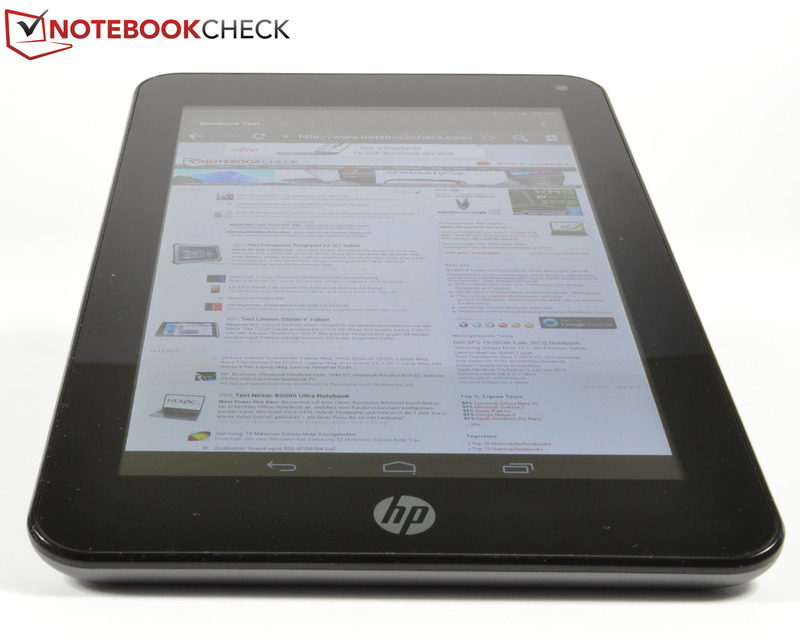 The user's maintenance and upgrade possibilities are rather limited for the HP Slate 7 Plus. The 15 Wh battery is not interchangeable; the microSD card slot at the top edge represents the only upgrade possibility. As common in this genre, the connections are very poor. At least, besides the standard USB 2.0 interface, the internal memory can be extended cheaply and quickly via a microSD slot (up to 32 GB). 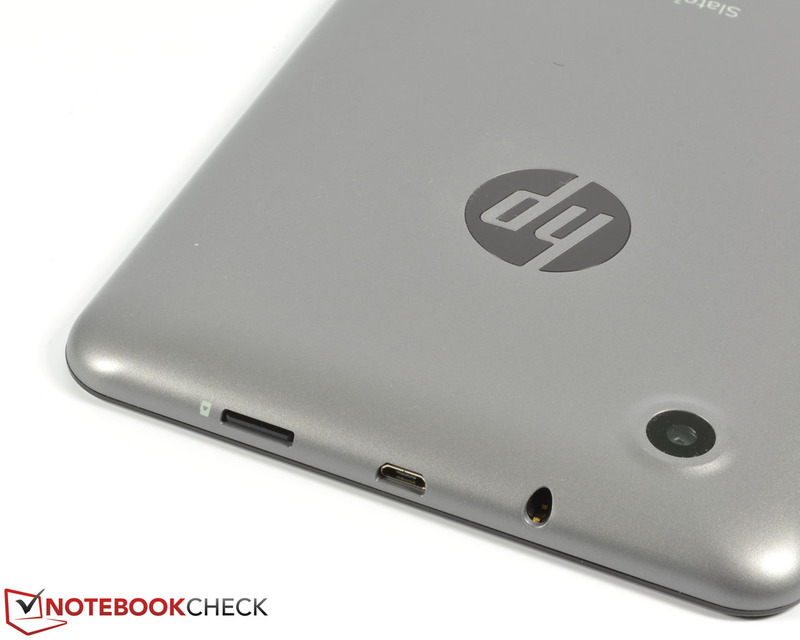 Both ports, as well as the mandatory 3.5 mm jack, are easily reached at the top edge of the tablet. This cannot be said about the power and volume buttons, which were unfortunately placed at the bottom side, making it impossible to use them when the tablet lies on a table. The pressure point could be slightly firmer but is still acceptable. The buttons were so unfortunately placed that they cannot be used when the tablet rests on a table. 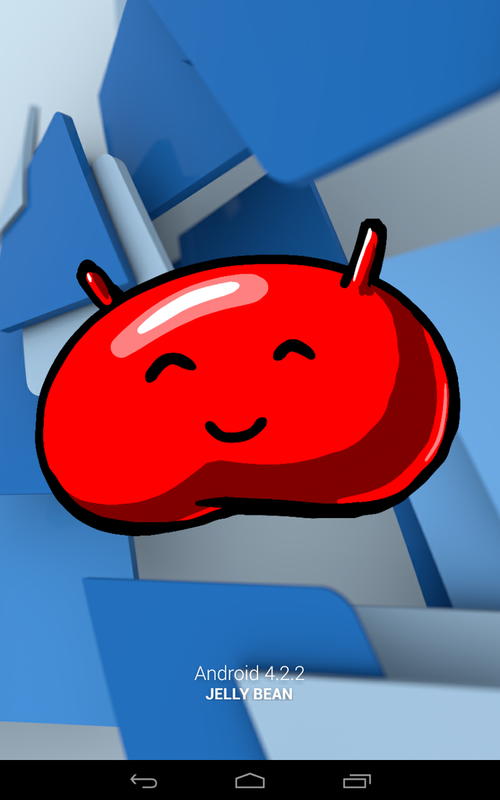 Besides the operating system, Android 4.2.2 Jelly Bean , HP preinstalls various apps like Google Play, Dropbox, Google Chrome, Google+ and Gmail. 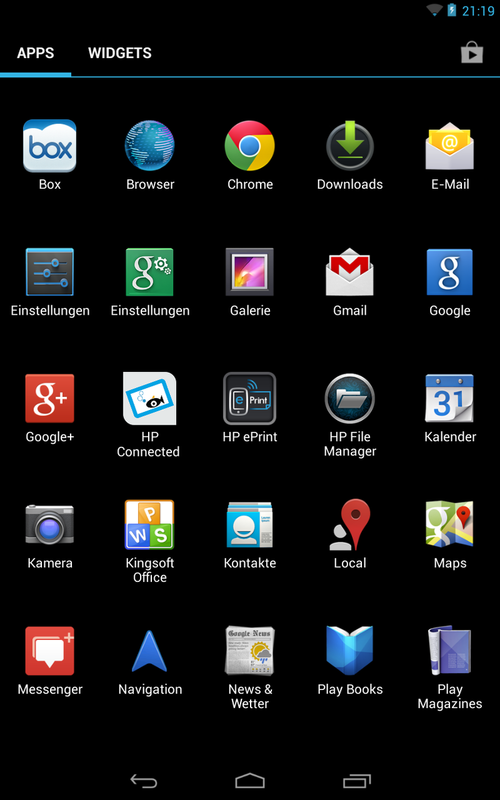 Tegra Zone for gaming, Kingsoft Office for productivity on the go and several in-house apps like HP ePrint and HP File Manager top off the good scope. 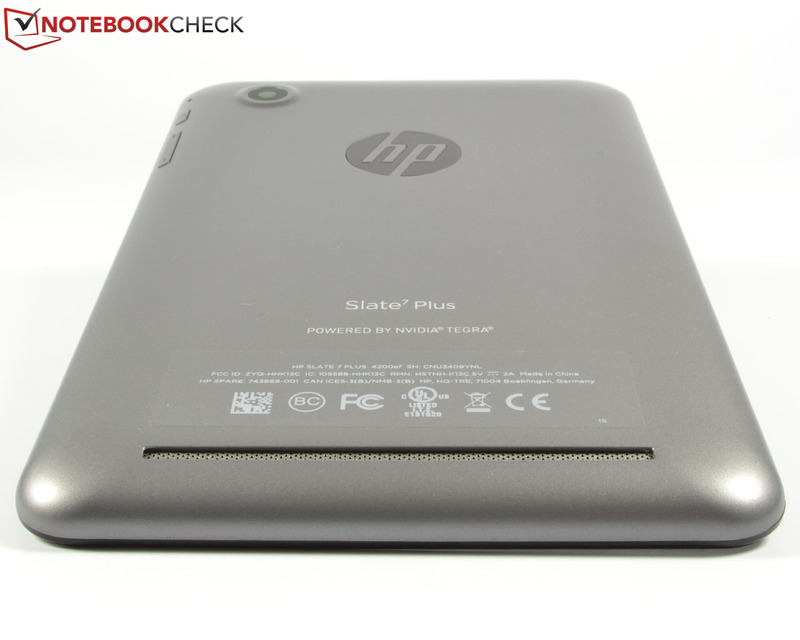 Unlike its predecessor Slate 7, HP equips the Slate 7 Plus with a GPS module. NFC and LTE are obviously - considering the price - not on-board. 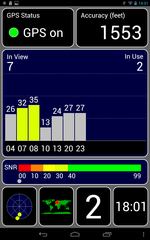 Additionally WLAN 802.11 b/g/n as well as the current Bluetooth 4.0 are supported. In the practical test, all wireless modules worked impeccably although tablets like the Google Nexus 7 or the Apple iPad Mini Retina show a better reception in the testing environment. 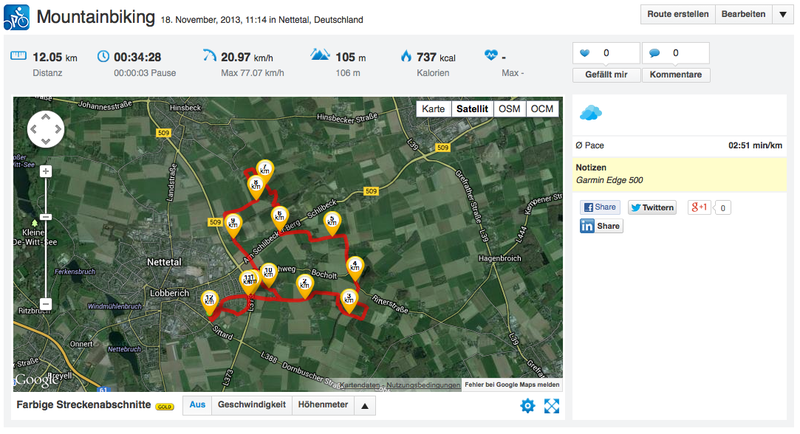 In our navigation test, in which the HP Slate 7 Plus competed against the Garmin Edge 500, the GPS module revealed considerable weaknesses. 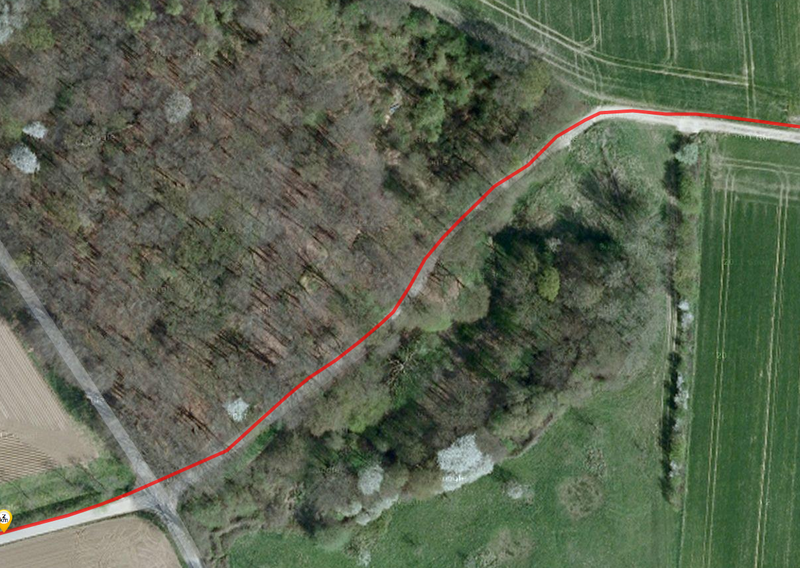 The device shortens the actual route by one kilometer because of inaccurate position information. 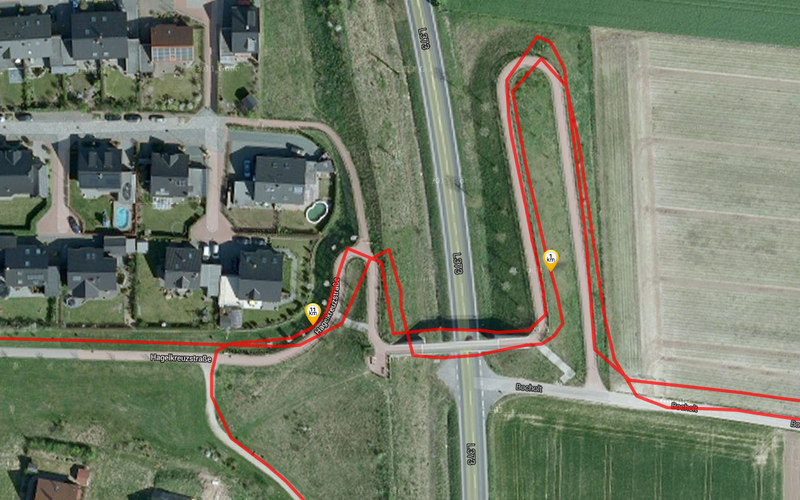 Therefore, the test sample only suffices to a limited extent for navigation. It is more suitable for streets than for open country. 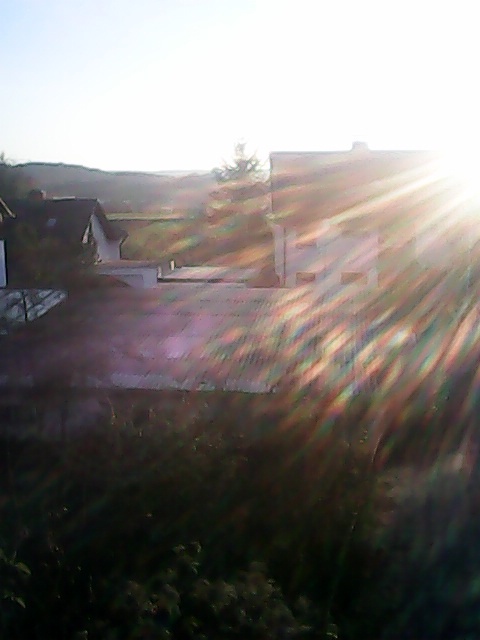 ...the rear camera lense are sensitive to image noise. The webcam has 0.3 megapixels and records in the VGA format 640x480 pixels. It barely suffices for video telephony and is identical to that of the predecessor HP Slate 7. The main camera at the back side now has an up-to-date resolution of 5 megapixels (2592x1944 pixels) and offers autofocus. Videos are recorded in 720p. Due to its poor resolution, low sharpness and strong image noise, the quality of the front camera is completely unacceptable. The main camera performs much better. 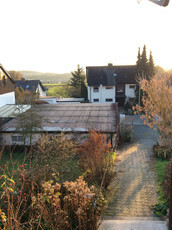 Although the pictures display low contrast and sharpness as well as faint colors, the camera module suffices for occasional snapshots - given an optimal light coverage. In comparison to the camera modules of the iPad Mini Retina or the reference camera Nikon D3100, the module of the HP Slate 7 Plus is by far inferior. 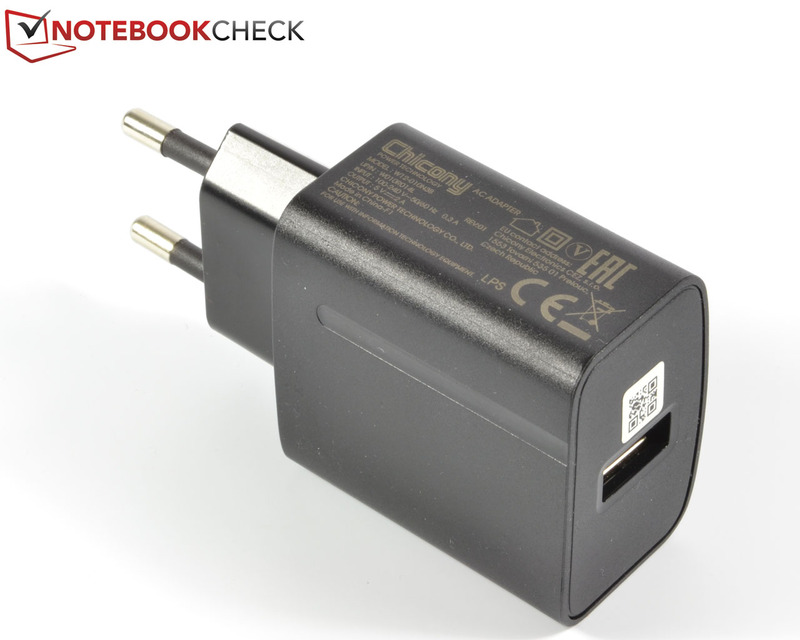 Besides the tablet itself, HP includes in the delivery only the modular USB power supply (5V/2A). HP currently offers few options for the Slate 7 Plus, not more than the external streaming solution HP Pocket Playlist for about 110 Euros (~$151). Other dedicated accessories are not available yet. The manufacturer provides for the Slate 7 Plus a warranty of only 12 months. Currently available in the HP store are two optional and distinct warranty extensions for 24 months each. 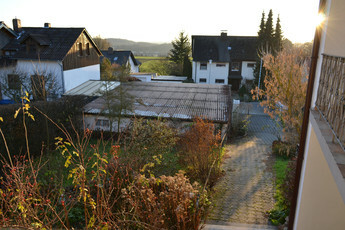 The standard replacement service costs almost 24 Euros (~$33). For about 72 Euros (~$99) an insurance against accidental damage is added to the package. The virtual QWERTY keyboard of the HP Slate 7 Plus corresponds to the Android standard. 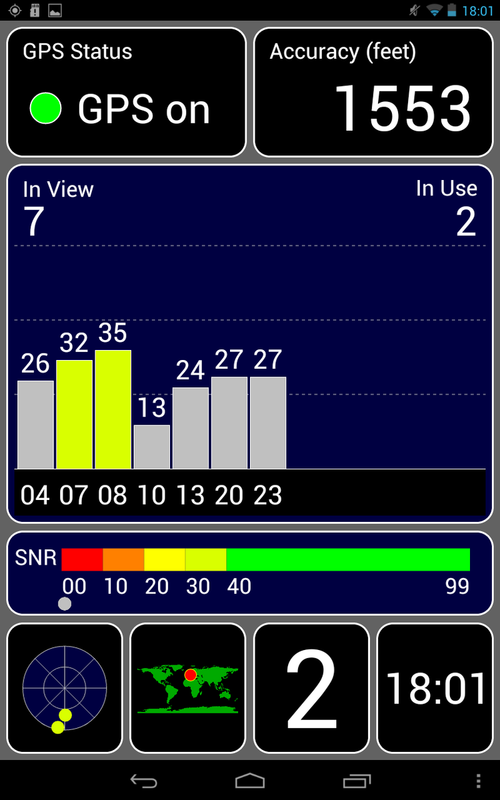 Thus, the control of the device works smoothly and reliably. Even in portrait mode, the keys on the 7-inch display are big enough to type comfortably. 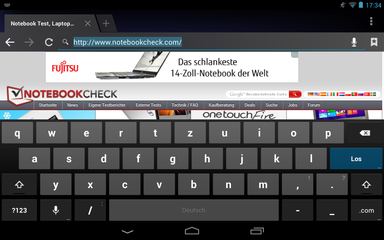 Since the Android soft touch keys are constantly blended in at the lower edge of the screen, about 2 thirds of the display remain for other purposes in portrait mode when the keyboard is activated. 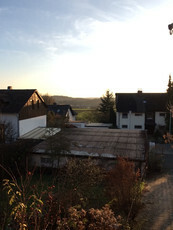 In landscape mode the visible image section shrinks to about half of the display height. 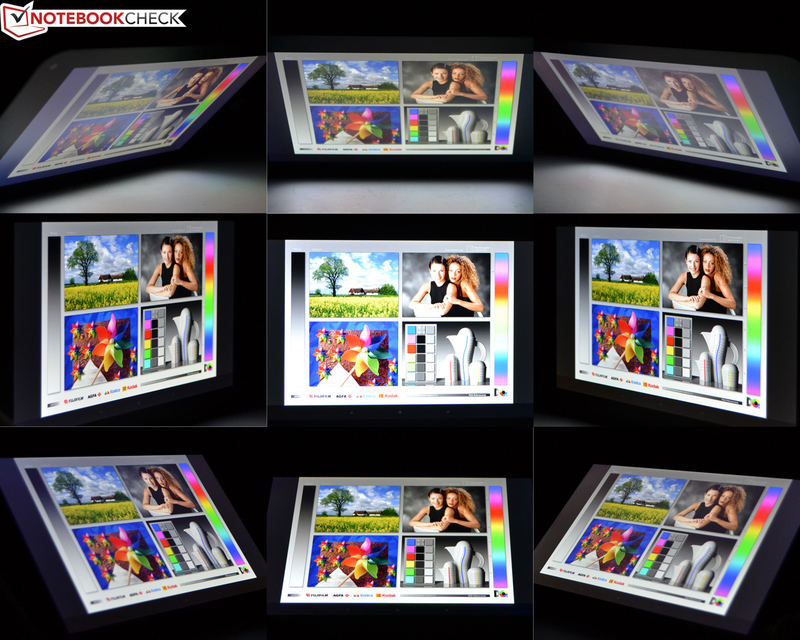 The touchscreen meanwhile works accurately and quickly enough to translate even fast input. The control via the glass surface works flawlessly. The automatic rotation of the screen content also works perfectly. 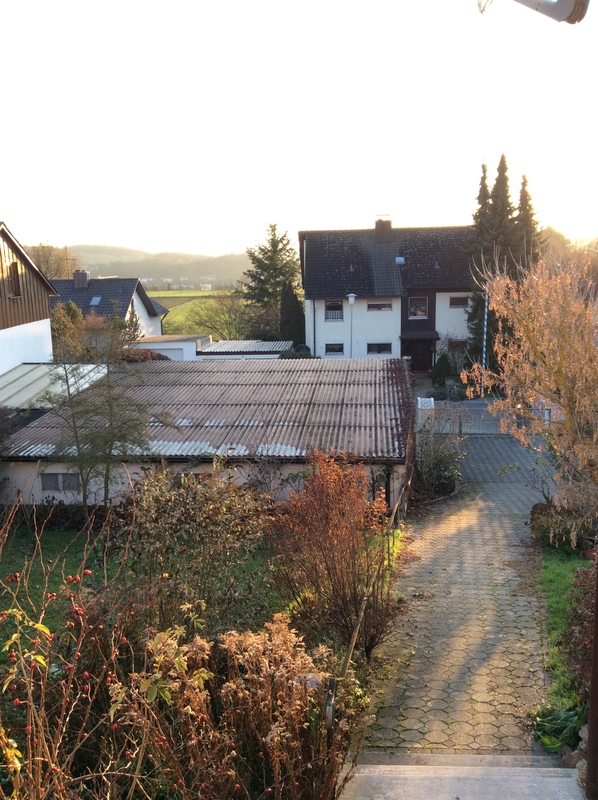 In portrait mode enough space remains for the image content. In landscape mode the space shrinks heavily. 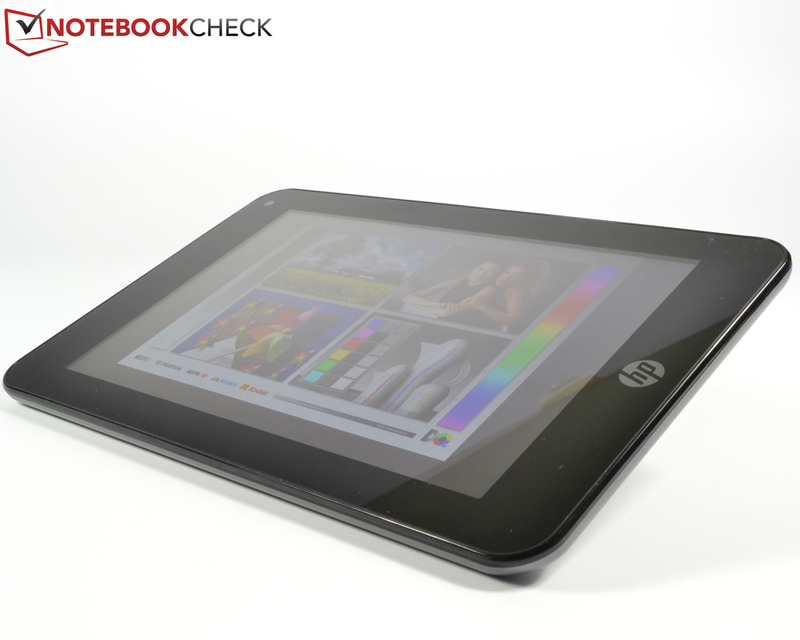 The 7-inch IPS LC display of the HP Slate 7 Plus has a sufficient resolution of 1280x800 pixels. 64 pixels are lost to the ever-present soft touch keys. The Asus Memo Pad HD 7 offers the same resolution while the Samsung Galaxy Tab 3 7.0 SM-T210 and the Palit Galapad 7 have to get by with only 1024x600 pixels. 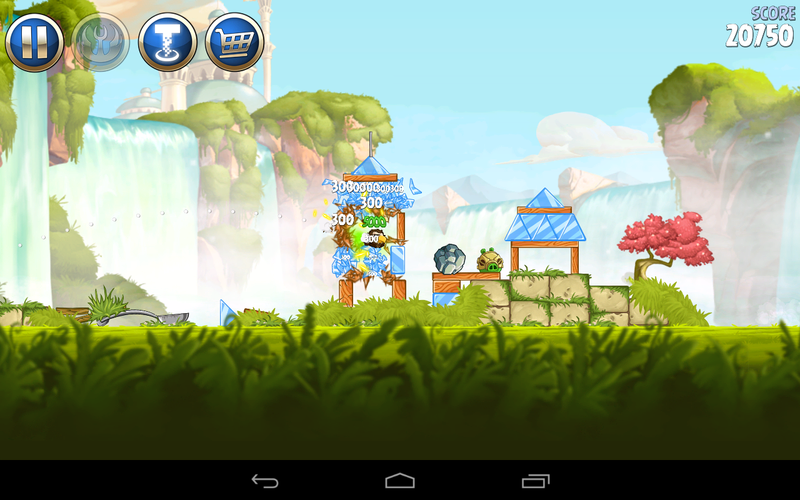 The Google Nexus 7 even comes with an impressive 1920x1200 pixels. With a maximum brightness of 434 cd/m² and an average value of 408.4 cd/m², the display of the HP Slate 7 Plus proves to be very bright. Thus, it positions itself in the upper third of its range. The test sample shines brighter than the Palit Galapad 7 with 331.6 cd/m² and the Asus Memo Pad HD 7 with 332.1 cd/m² and comes very close to the Samsung Galaxy Tab 3 7.0 SM-T210 with its 426.6 cd/m². 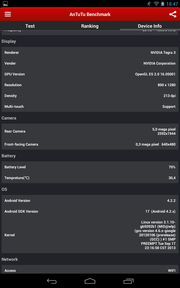 However, the test device comes nowhere near the immense brightness of the Google Nexus 7 with 513.4 cd/m². The illumination, at 88 percent, is at a good level. 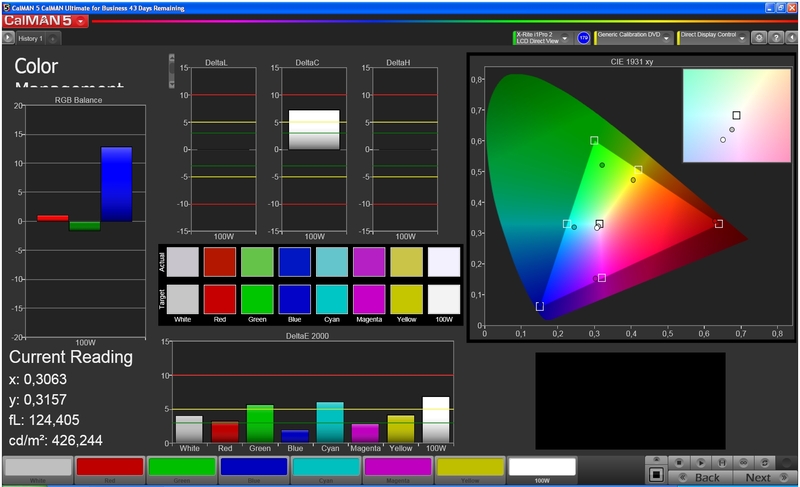 The HP Slate 7 Plus offers an acceptable black value of 0.52 cd/m² and a contrast of 835:1. Consequently, it performs very well in the direct comparison. Merely the Palit Galapad 7 is better, with 0.37 cd/m² at 881:1. Subjectively the test sample displays a decent black and a high image sharpness with vivid colors. 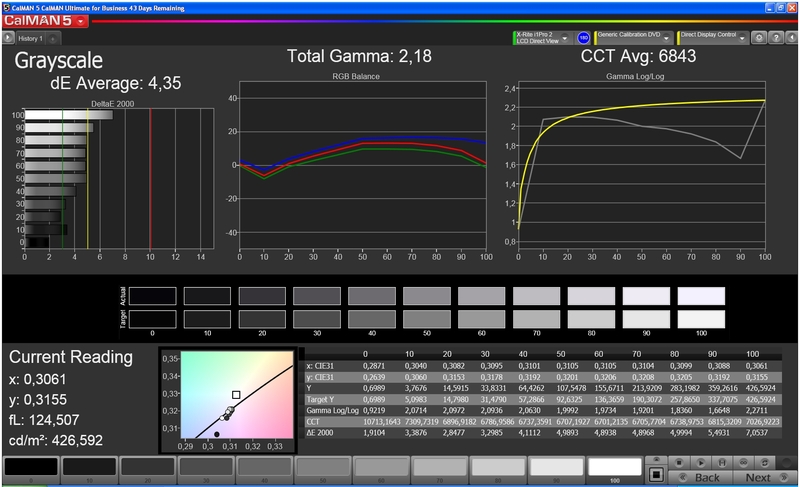 The colorimeter measurements with the software CalMAN reveal that the display shows deficits concerning color display. A deviation is especially noticeable for green and yellow tones. Blue tones are slightly too saturated. These deviations, however, are not visible to the naked eye, not even with a purely white image. 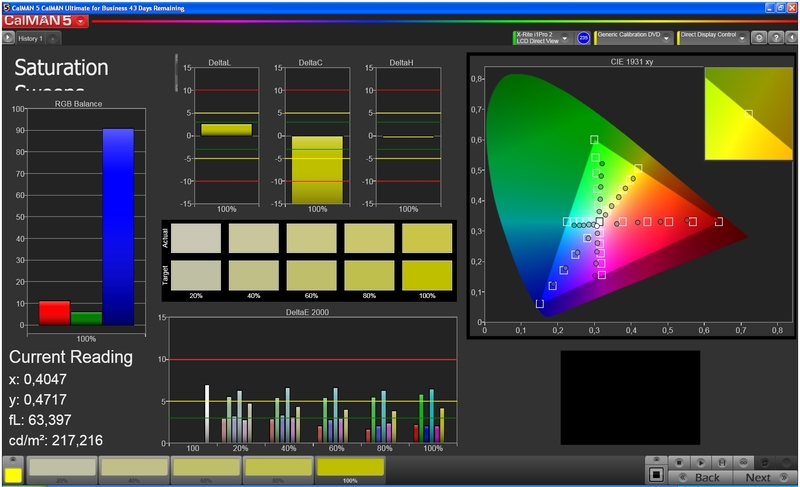 The average DeltaE by ColorChecker is at 3.91 acceptable, the color space coverage, however, has much room for improvement. The grayscale display is decent and does not show noteworthy deviations from the ideal curve until 30 percent brightness. All in all the HP Slate 7 Plus achieves a subjectively deep black and a high-contrast image with good colors. Due to its high luminance, the HP Slate 7 Plus is able to score further during outdoor use. 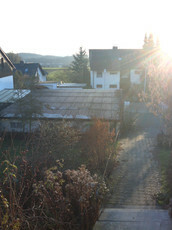 When the sun is not shining directly onto the glass surface of the tablet the display content is very well recognizable. Under direct sunlight, however, heavy reflections outshine the image content. 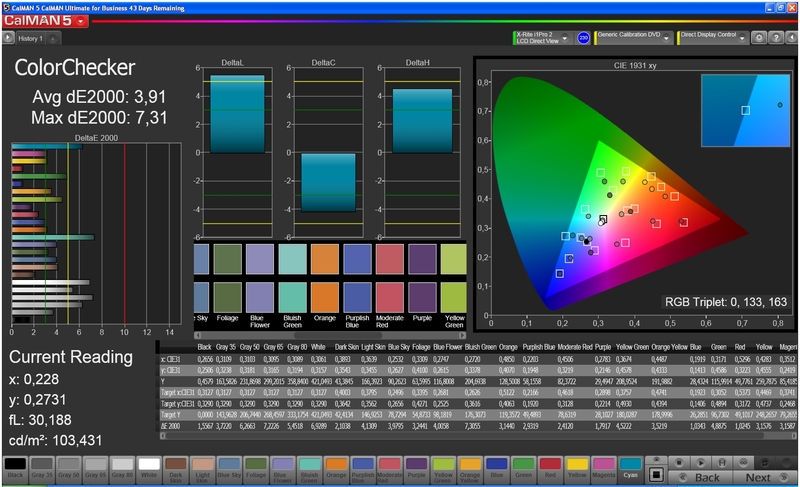 Due to the in-plane-switching technology (IPS), the LC display offers very high viewing angle stability. 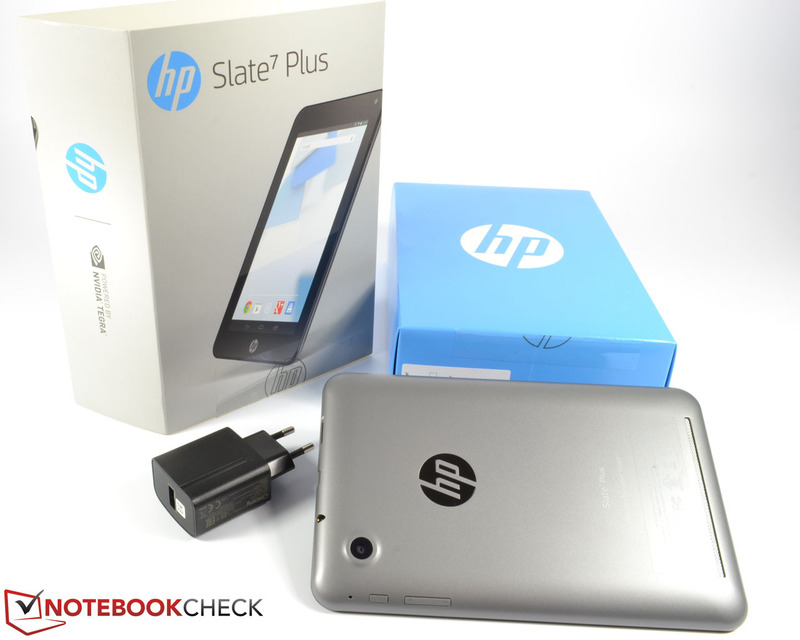 Despite the low price range, the HP Slate 7 Plus is able to score greatly. It is only at impractical viewing angles that the brightness decreases by a little. Solely the IPS Glow, which is typical for this technology, is perceptible for this device for very dark image content but this is unobtrusive during everyday use. The HP Slate 7 Plus is driven by a Tegra 3 SoC with a clock speed of 1.3 GHz and an integrated Nvidia GeForce ULP graphics card. Both components are supported by 1 GB SDDR3 main memory. Although the quad-core processor is no longer one of the fastest, it completely suffices to allow that the Slate 7 Plus can be controlled very smoothly and without delay at all times. The test sample achieves remarkable results in the synthetic benchmarks but cannot deny its older hardware. 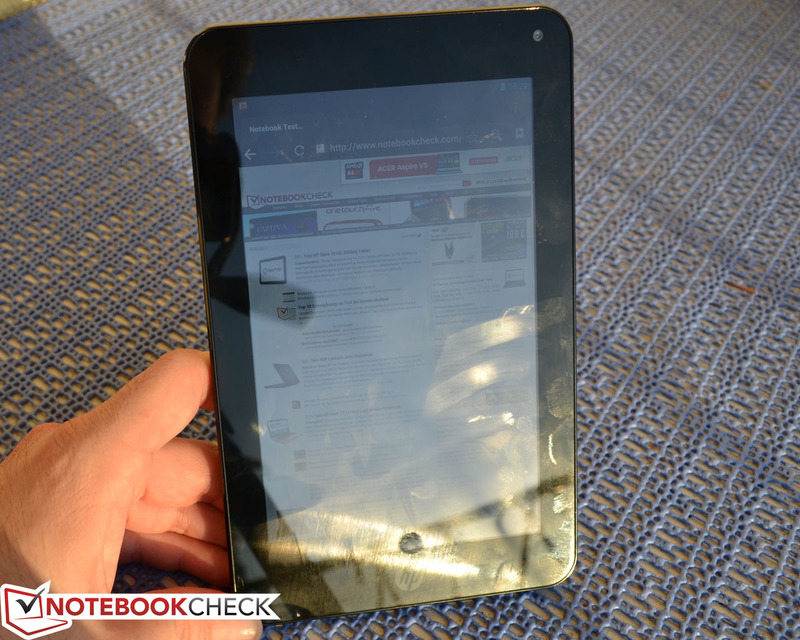 Especially the latest Google Nexus 7 seems way out of reach. 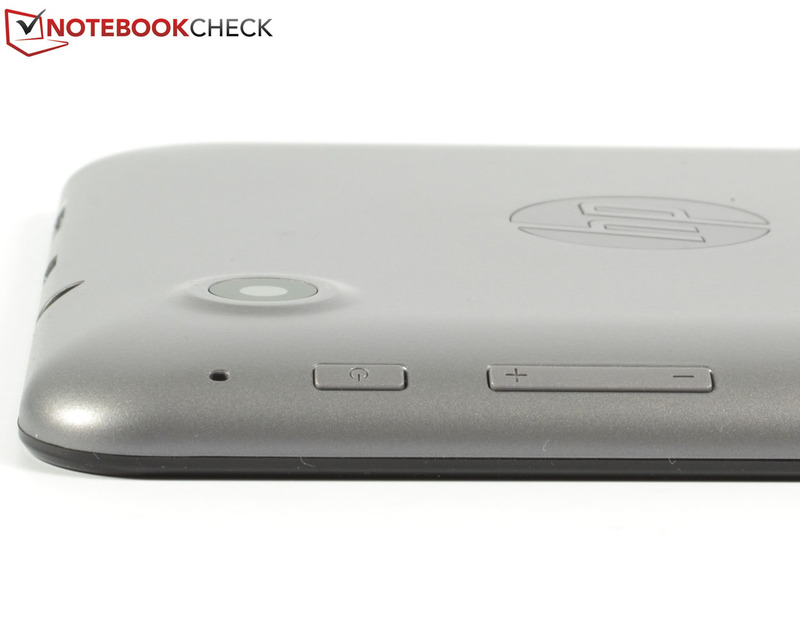 In the browser benchmarks, the HP Slate 7 Plus is sometimes far behind its competition. 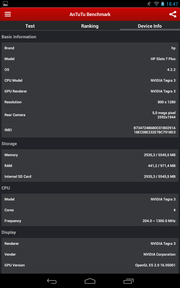 Especially in the Vellamo Mobile benchmark are the Asus Memo Pad HD 7 and the Google Nexus 7 able to pull clear of our test device. The graphics benchmark "Epic Citadel" attests that the HP Slate 7 Plus, reaching 49.1 frames per second in high quality mode and 51 FPS in high performance mode, is still a good performer. 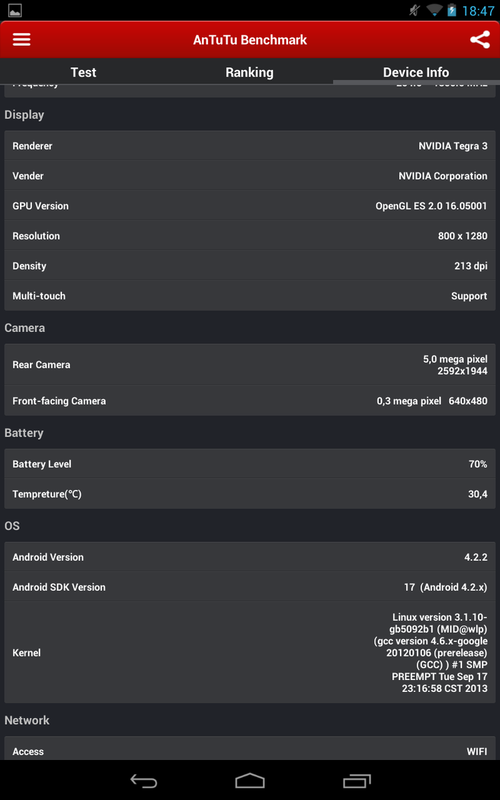 The Tegra 3 SoC integrated GeForce ULP graphics card is admittedly not one of the most modern solutions but all currently available games in the Google Play store can be played without any problems. Examples we tested were the popular 2D game of skill "Angry Birds: Star Wars 2", the 3D adventure "Ironman 3" and the 3D shooter "Shadowgun: Deadzone". The input devices contribute a lot to the fun: The touchscreen as well as the position and acceleration sensor work quickly and accurately. The measured surface temperatures of the HP Slate 7 Plus remain constantly in an acceptable range. In idle mode, 36.3 °C (97.34 °F) are reached selectively. On average, the temperature stays at cool 30.4 °C (86.72 °F). Under full load, the surface of the test device heats up to a maximum of 42.9 °C (109.22 °F) which were measured at the bottom. The average temperatures are once again at barely noteworthy 32.8 and 32.6 °C (91.04 and 90.68 °F) at the bottom and the top respectively. The stereo speakers were placed too close to each other. The stereo speakers were placed at the lower back side of the tablet, which means that they are completely covered either by the hands in landscape mode or by the table when put down. This causes the sound to be very dull. In addition to that, both speakers were positioned too close to each other with the result that real stereo sound cannot be developed. Overall, the sound suffers from low volume and overemphasized treble. Bass is also barely existent. The sound of decent headphones via the jack, however, is immaculate and that at a high maximum volume. 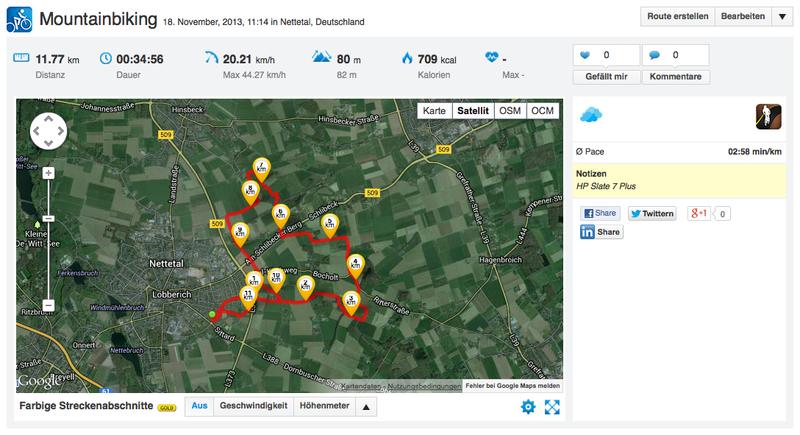 The power consumption of the HP Slate 7 Plus yields mixed results. 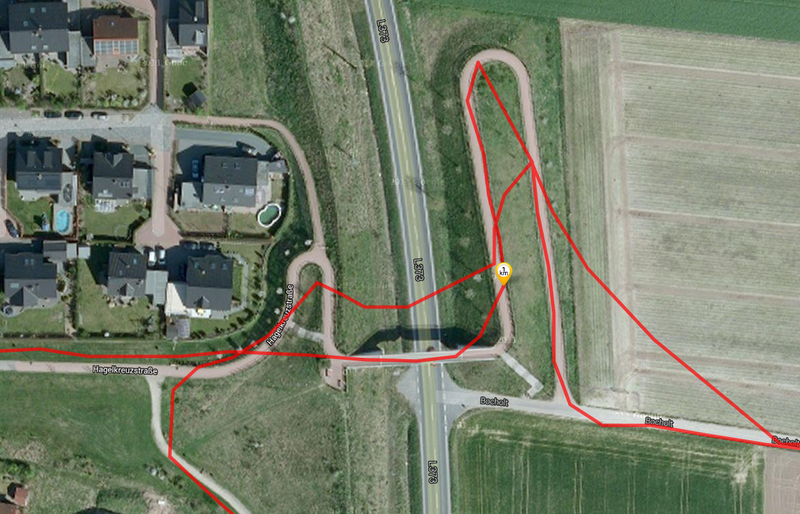 During idle it proves to be very frugal with 1.1 to 2.6 Watts. With values between 5.7 and 7.1 Watts under load it is slightly above the standard. When the tablet is turned off, it does not require any power. We were not able to ascertain the consumption during standby since the display always turns on as soon as the charging cable is plugged in. The battery runtimes of the HP Slate 7 Plus, which is fitted with a 15 Wh Li-polymer battery, are appropriately good. The tablet lasts a maximum of an impressive 15 hours and 31 minutes and thus about 5 hours longer than, for example, the Palit Galapad 7. 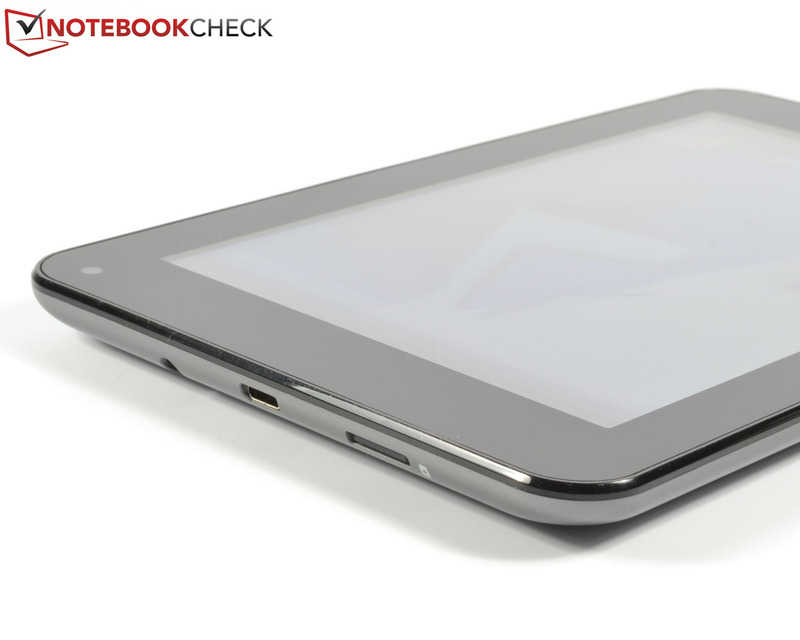 The Samsung Galaxy Tab 3 7.0 SM-T210 tablet also has a significantly lower runtime of 11:36 hours. 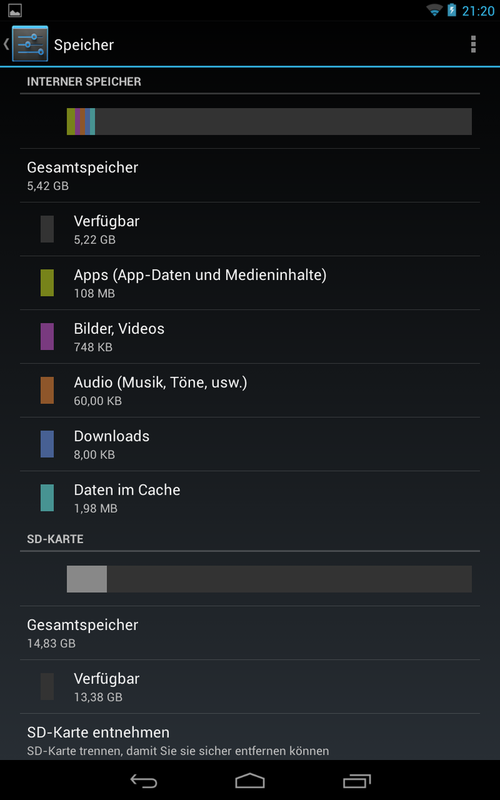 However, it cannot reach the marathon runner Google Nexus 7 with more than 44 hours. 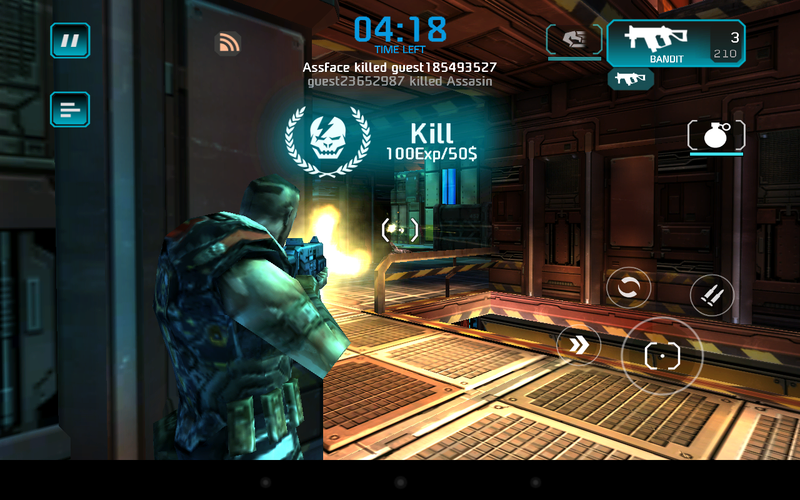 The Asus Memo Pad HD 7 also beats it with a runtime of 16:55 hours. In the surf test via WLAN with adjusted brightness and our browser script with various web sites, one battery charge lasts a good 6:40 h. Here it can only surpass the Samsung Galaxy Tab 3 7.0 SM-T210. The rest of the competition is slightly more enduring. The test under load at maximum display brightness is ended by the HP Slate 7 Plus after 3 hours and 10 minutes. Hence it can distance itself from the Samsung Galaxy Tab 3 7.0 SM-T210 and the Palit Galapad 7 and comes close to eye level with the Google Nexus 7. 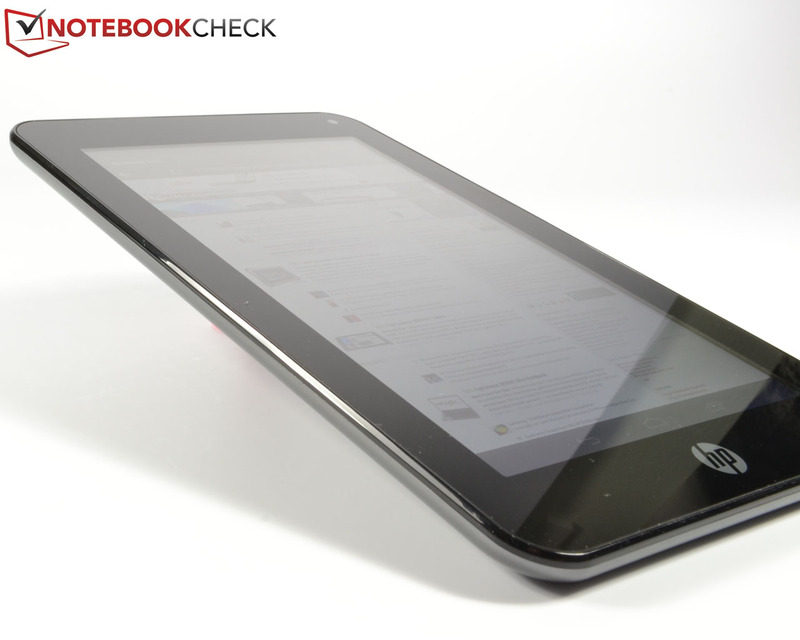 The Asus Memo Pad HD 7, however, is far ahead of the competition. The practical video test with the Full HD video Big Buck Bunny is only terminated after 4 hours. Therefore, it is no problem to watch two feature movies when on the go. 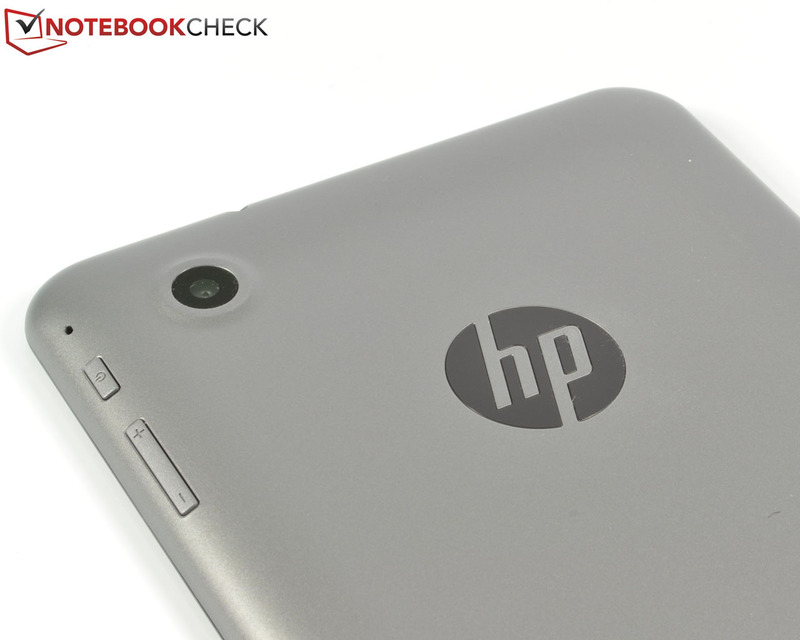 Does the performance of the HP Slate 7 Plus suffice for one of the top ranks in our list? Sadly, despite many positive aspects, not quite. On the plus side is the bright, viewing angle stable 7-inch IPS display whose resolution is at 1280x800 pixels sufficiently high. In addition to that, it comes with an image representation that is sharp and rich in contrast. 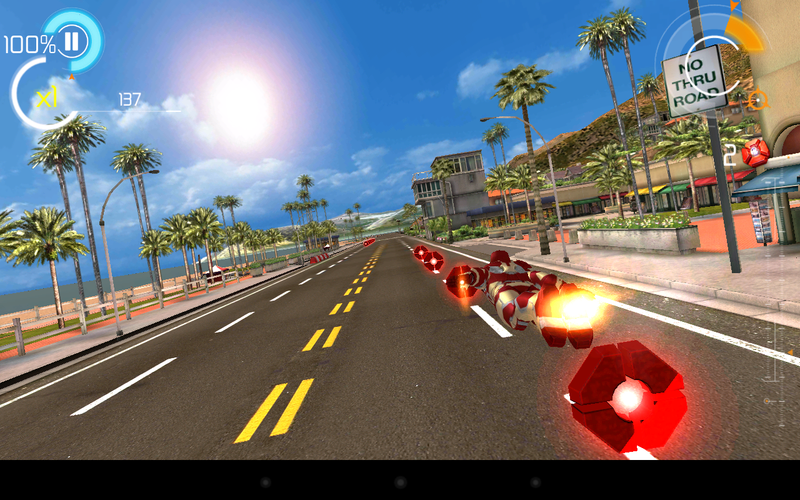 Furthermore, the still powerful Tegra 3 SoC offers an appealing level of performance in all situations. 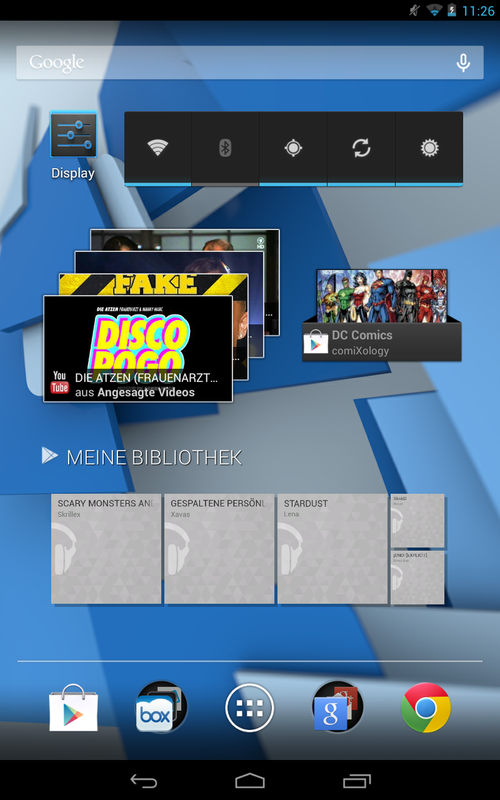 Moreover, the tablet has, with Android 4.2.2, a relatively modern operating system on-board. The ill-conceived position of the buttons and of the speakers is less appealing. The mediocre workmanship and the high total weight are also negative points. Furthermore, the HP Slate 7 Plus offers really lousy camera modules for a multimedia tablet. 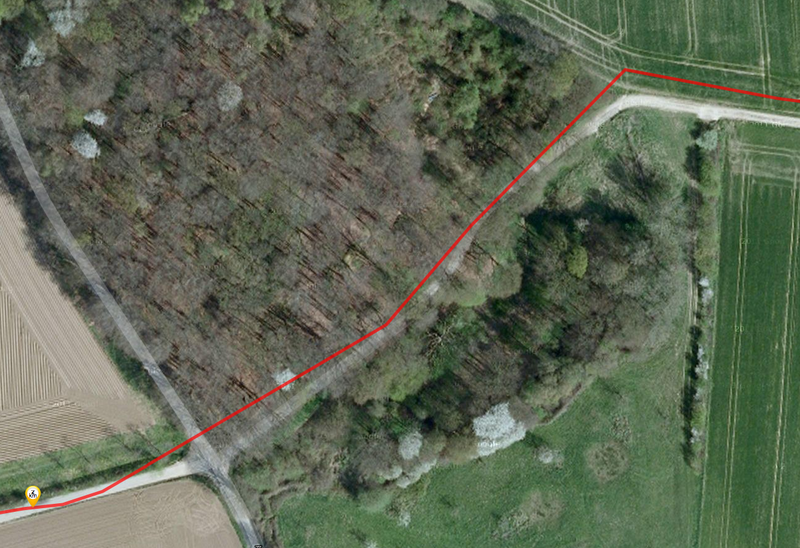 Due to its inaccurate GPS tracking, the test sample is also ruled out as a satnav replacement - at least in the open country. Nevertheless, the HP Slate 7 Plus has quite a lot to offer for 149 Euros (~$205, RRP) and represents a solid choice in the entry-level range. Currently you even receive an additional protective case for this price in the HP store. Those who are willing to invest 70 Euros (~$96) more for the Google Nexus 7, however, receive the far better tablet. 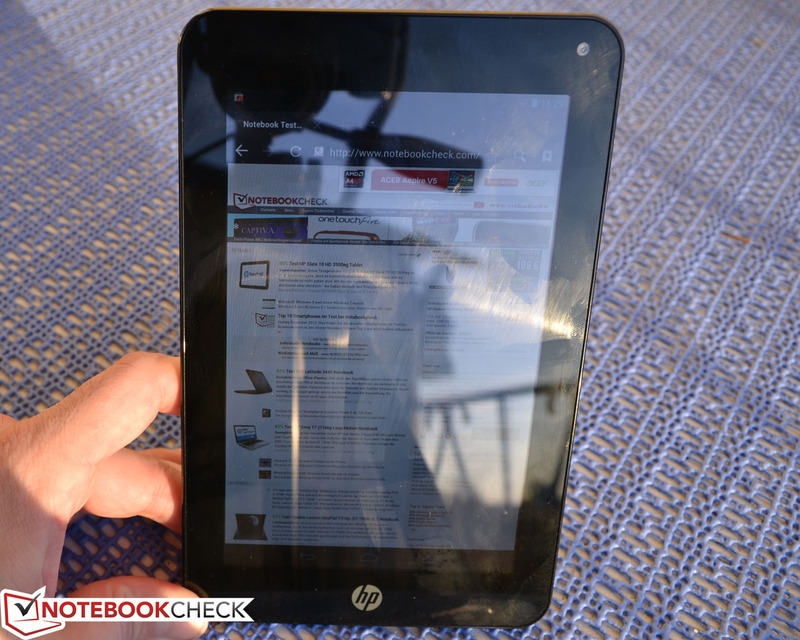 In Review: HP Slate 7 Plus 4200ef. Test sample courtesy of HP Germany. The scope of delivery is standardly sparse. The modular USB power supply could be stronger. Charging takes about 3 hours. Despite the low price it even comes with an IPS display. 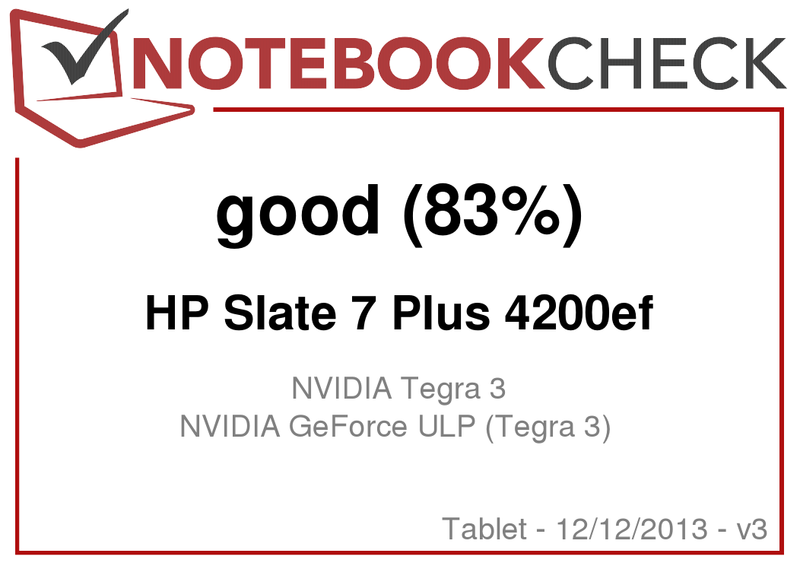 The HP Slate 7 Plus is run by a Tegra 3 SoC. 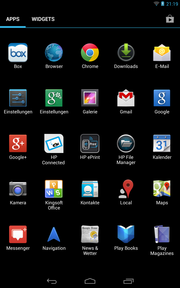 The home screen can be adjusted individually with many various widgets and app links. 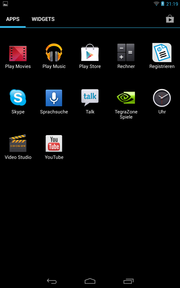 ...by HP preinstalls apps on the Slate 7 Plus. 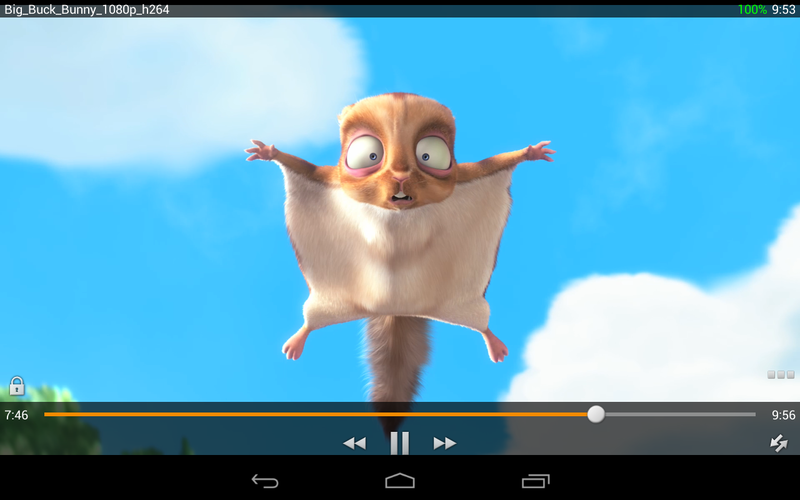 Full HD videos like Bug Buck Bunny also run without any problems. Of the 8 GB flash memory are only 5.42 GB available. The rest is occupied by Android. Surfing with the tablet is great fun. The back side creaks slightly when touched. All of the connections cluster at the top edge. Especially the physical buttons should have been positioned more sensibly by HP. The bright, high-contrast IPS display with great viewing angle stability. For a multimedia tablet we would wish for better camera modules and a more sensible placement of the stereo speakers. Despite the low price the HP Slate 7 Plus scores with good application and gaming performance.